it is not SEO Friendly. 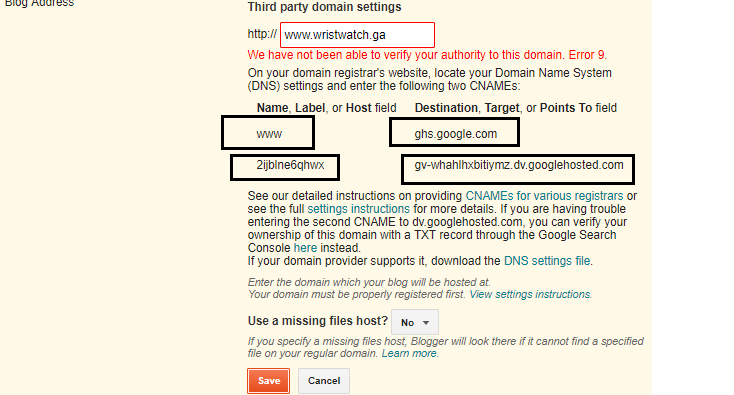 Also, this type of domain is not easy to remember and so you have to use a custom domain like .com, .in , .org etc. so for this you have to pay money because these are TLD (top-level domain) So, for that people use a free domain name from freenom.com this domain names are also not good for SEO because it is free but it is better than those CMS domains its domains are like yourname.tk, yourname.ml etc. So, if you have your own hosting then you can connect this domain by changing its name server which is very easy but when it comes about blogger many faces problem regarding this. So, today we will learn about this Step by Step. Go to freenom.com and buy a domain and open its control panel. 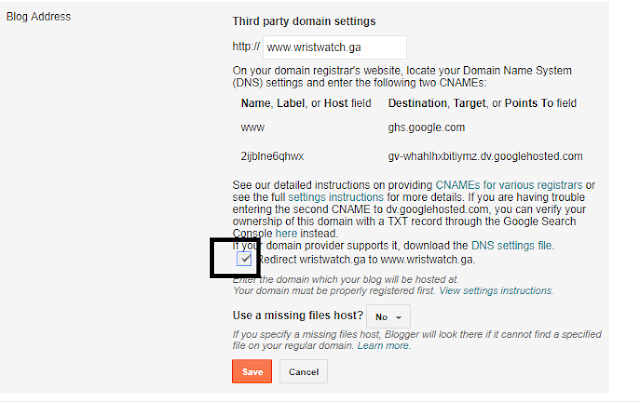 Now go to the Blogger Dashboard and click on setting on left and side.and you will find like "+Set up a third-party URL for your blog", Click on that. Now after clicking there you have to fill the domain name and click on "Save"
After that, you will find an error message and you will be given 4 cname records copy that and keep it somewhere we have to use this. Log in to your freenom.com account and click on 'services' and then "my domain"
After clicking you will go to the list of your domains and then click on "manage domains"
Now you will go to the control panel page and there you click on "DNS Management". Tick on the redirection box and click save. After clicking Save you will be done you will be done.